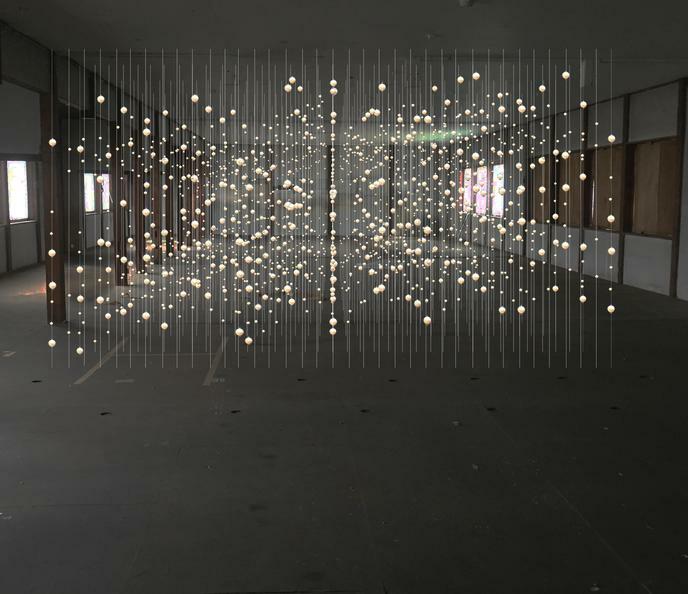 damián ortega, warp cloud, echigo-tsumari art triennale, tsunan, 2018. 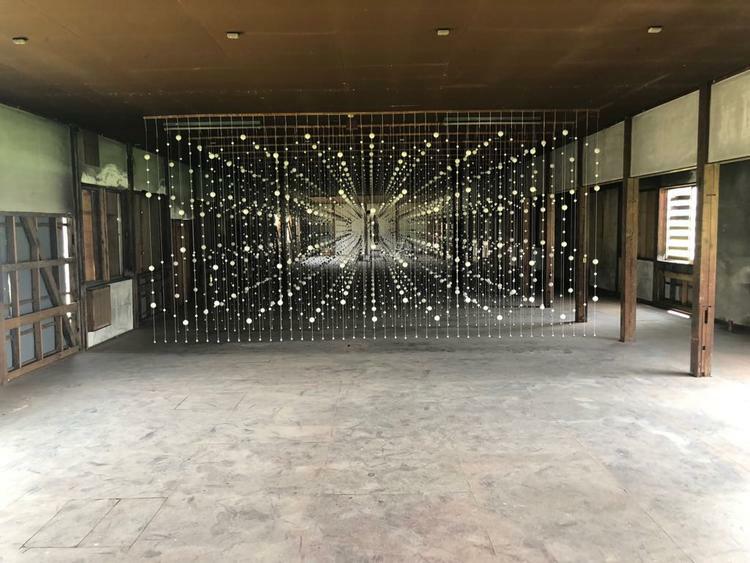 For the Echigo-Tsumari Art Triennale 2018 the artist Damián Ortega will present Warp Cloud, an installation made in an old textile factory. 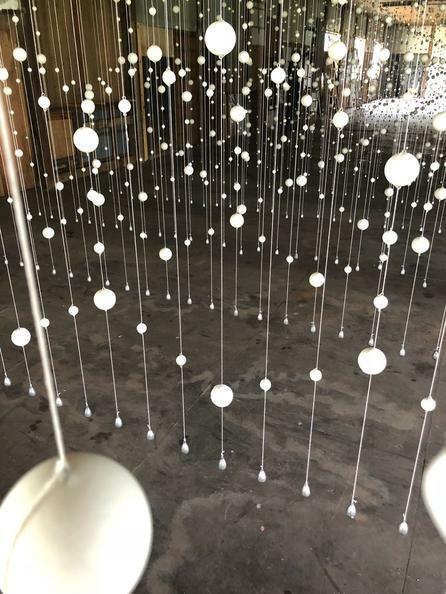 For this art installation each thread will have several balls of plaster and lead in the form of a drop of water in the bottom. The balls are held in place due to the tension generated by the weight of the lead. The white spheres will have a high contrast against the dark space. They will be organized in a way that allows a reticle or composition, forming part of a unified form that crosses a three-dimensional network of plains that connect visually. In other words, the curtains of spheres will be articulated as an immense molecule or a large "cloud" of molecules that occupy all space. The meaning of these curtains or layers is that they function as curtains or textiles with dots that make organized patterns, chaotic drawings or interesting rhythms. In indigenous mythology in Oaxaca, Mexico, weaving represents the union of heaven and earth. The vertical line represents the element of air, the horizontal lines represent the earth. The knots, the grid, become the landscape. 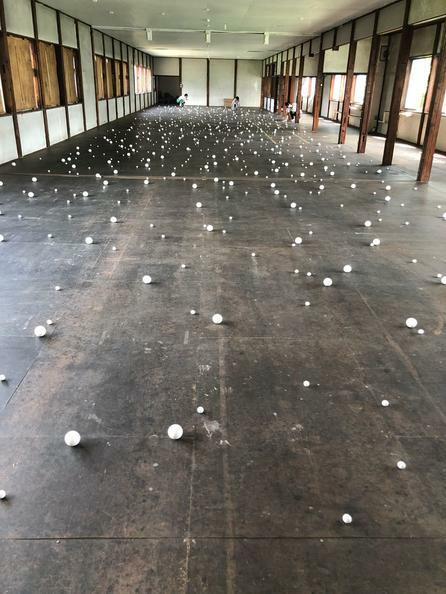 Echigo-Tsumari Art Triennale is one of the most important art festivals in the world and is held every three years in the Echigo-Tsumari region since 2000. Over the years the triennial has taken place in a rural area that expresses human coexistence with nature. 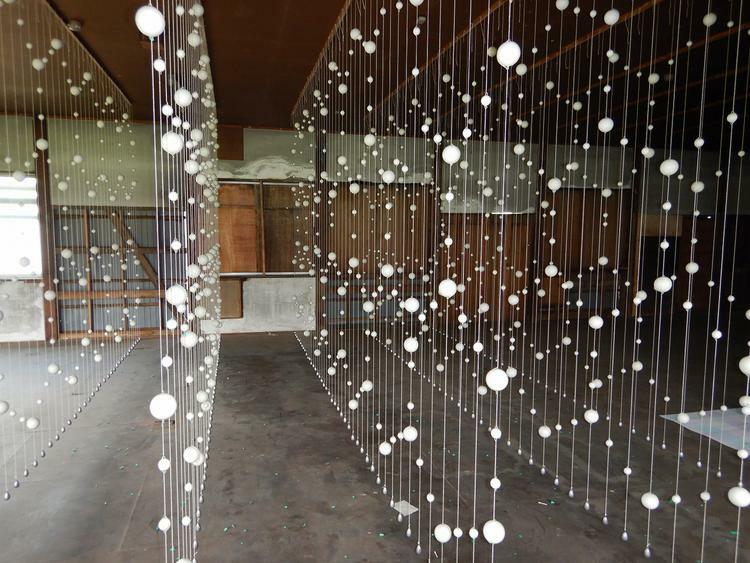 The region currently suffers a rapid aging and depopulation due to globalization, so Echigo-Tsumari Art Triennale aims for international artists to develop projects using art as a catalyst for rural values ​​to revitalize the region.